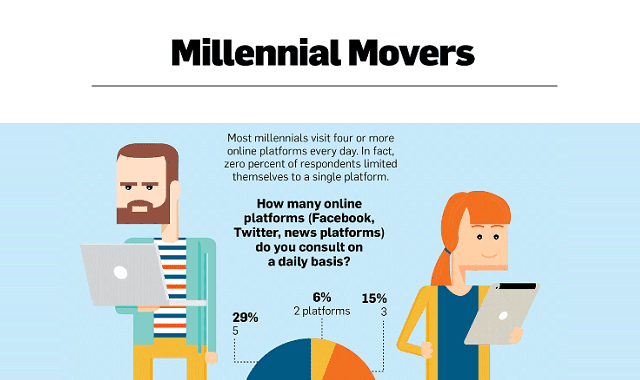 Millennials Mover #Infographic ~ Visualistan '+g+"
Most millennials visit four or more online platforms every day. In fact, zero percent of respondents limited themselves to a single platform. Have a look!